Has it been a few years since you have eaten brussels sprouts? 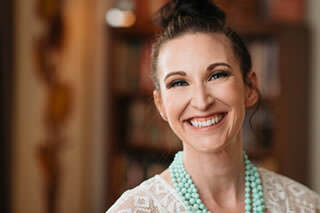 Maybe you remember something that barely tasted edible from your youth or being forced to sit at the table to eat your brussels sprouts before your parents would excuse you from the torture. 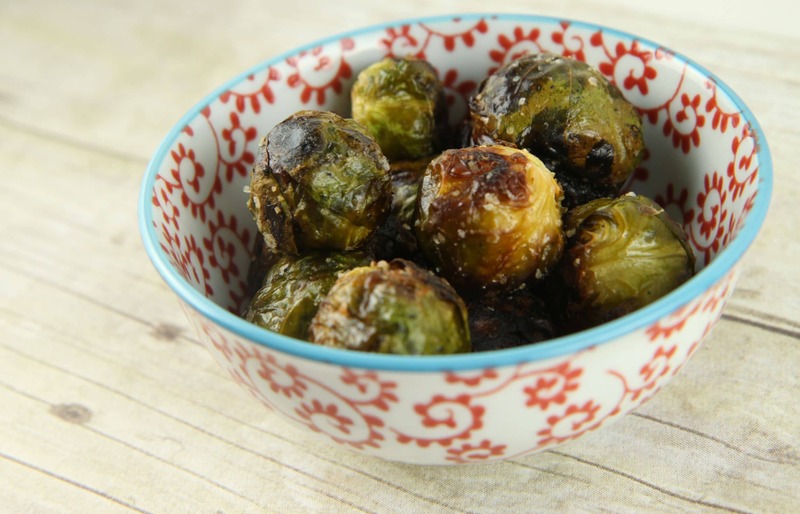 Have no fear because roasted brussels sprouts are nothing like those hard, steamed, barely edible things you may have eaten before. As with all vegetables in our house, our family prefers our veggies roasted. It is a simple technique, requires zero cooking skills, and yields a tasty side dish that your whole family can enjoy. Whether we are roasting up a big batch of lemon roasted green beans or indulging in Parmesan-dusted roasted asparagus, chances are that if the vegetable is roasted, it will be a hit in our house. Brussels sprouts had never touched my kid’s lips before. It wasn’t a vegetable that was even on my radar when doing my grocery shopping. When I saw they were on sale in the store, I remembered Ina Garten’s claims that roasted brussels sprouts were so delicious and just as addictive as french fries. I thought it would be fun to give these a try and see what our family thought. 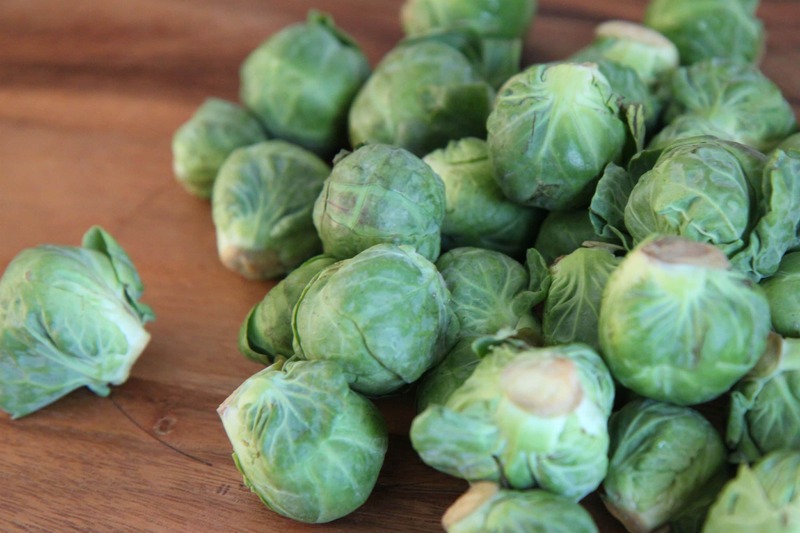 Preparing brussels sprouts for roasting is as easy as 1-2-3. Simply cut off the brown ends, remove any loose leaves, and toss them with olive oil and seasoning. How is that for easy? The taste compared to other methods just can’t be beat. These get a depth of flavor from the roasting and become more tender as they cook. The browned bits on them were my favorite part and the sprinkle of kosher salt make these taste like a treat to eat rather than a chore. The method is a simple one, the dish is inexpensive to prepare, and it made a brussels sprout lover out of every single person in our family. Cut off the brown ends of the Brussels sprouts and pull off any yellow outer leaves. Mix them in a bowl with the olive oil, salt and pepper. Pour them on a sheet pan and roast for 35 to 40 minutes, until crisp on the outside and tender on the inside. 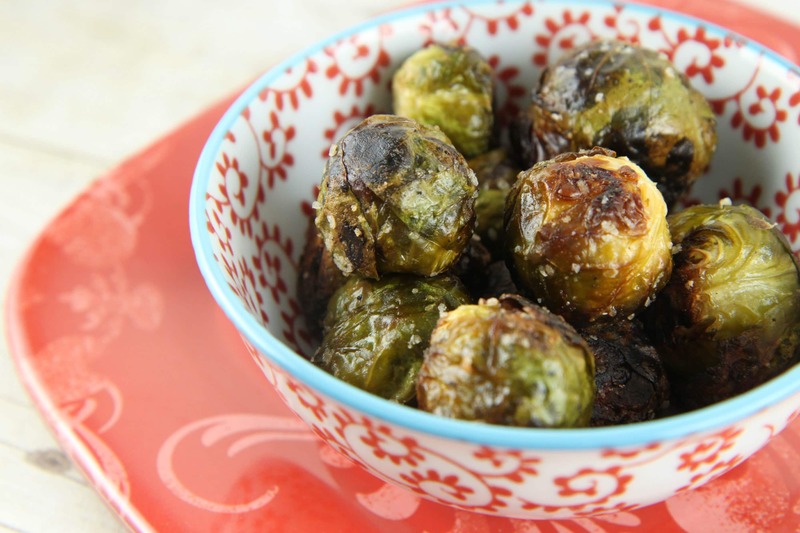 If you have smaller brussels sprouts, you can adjust the time to 20-25 minutes. Shake the pan from time to time to brown the sprouts evenly. Sprinkle with more kosher salt and serve immediately. Have you ever tried a vegetable you hated as a kid and found that you love it as an adult?